Download Free Shopping Paper Bag Mockup PSD. Today’s freebie is a free Shopping paper bag mockup which you can use for showcase your branding and packaging designs and present your merchandising brand identity designs in a photorealistic way. You can easily change the handle and bag color to match with your design and add your own custom graphics using the smart object layer. Just double-click on smart object layer. A new document will open up where you can edit or add your pre-designed artwork and after you are done, just click save and your new work automatically updates in the mockup. You can also add your own background or change the background if required. 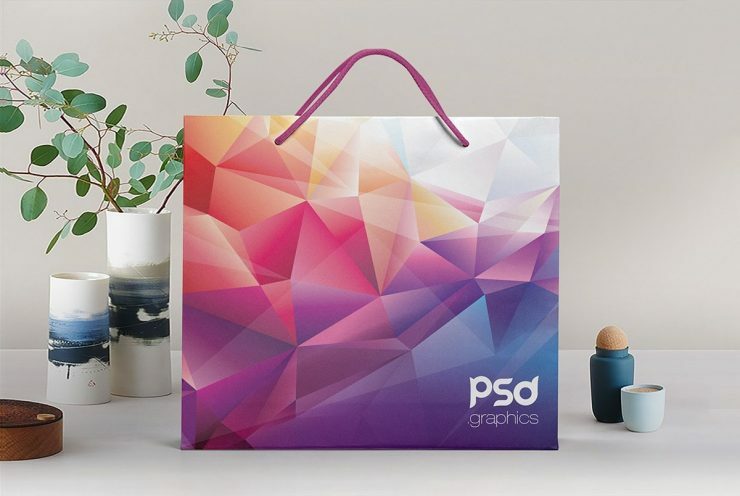 Hope you like this Free Shopping Paper Bag Mockup PSD. Enjoy!